Coptic Pope Tawadros II of Alexandria, Egypt has announced plans to travel to Armenia to participate in events marking the centennial since the Armenian genocide. Purported by Turkey’s former Ottoman government, the genocide saw 1.5 million Armenians systematically killed by 1915. The Pope’s statement came amid current tension between Egypt and Turkey that developed after Turkey expressed disapproval of the ousting of Former President Mohamed Morsi in 2013. While most Armenians do not typically follow the Coptic Church, they comprise a separate sector of Oriental Orthodoxy, the Armenian Apostolic Church, which observes a similar calendar and traditions and recognizes the same Pope. 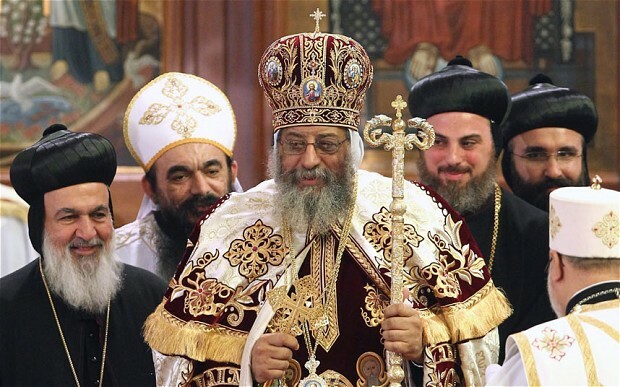 Pope Tawadros II stated that he will be participating in commemoration events in Armenia, in addition to visiting Coptic communities in Europe in May. Coptic Orthodox Christians make up approximately 15% of Egypt’s population- around 10 to 13 million. President Abdel Fattah El Sisi recently greeted Pope Tawadros II and Copts abroad in the spirit of Sham El Nessim, or the Orthodox version of Easter, and sent delegates to attend the Easter Mass held in St. Mark’s Cathedral in Abbassiya on Saturday. The decision of Coptic Pope Tawadros II to participate in the events came before Pope Francis called the 1915 mass killing of Armenians a genocide, but was not reported widely. Following Pope Francis’ statement, Turkish President Recep Tayyip Erdogan warned him not to make such remarks. It remains to be clear whether Coptic Pope Tawadros II will also describe the 1915 events as a genocide. The Egyptian government, meanwhile, has never formally described the mass killings as such. An avid traveller, photographer, and culture aficionado who received her sciences degree in Anthropology from Loyola University Chicago, Kari is currently devoting her time to Egyptian Streets, in addition to launching her travel magazine, Le Voyageur.